Although the weather on my homepage said it was 10° outside, as soon as I stepped out the door I found it was much warmer – probably closer to 30°. Normally that would be a big difference in the way I dress for a run. Shedding my hat and gloves were an easy answer but I was still worried about my core overheating (a big no-no during pregnancy). I have been testing the new Polartec Power Shield Pro softshell fabric for a few months now and I’ve really enjoyed it for ski touring, resort skiing and sledding with Juniper. But, I never would have guessed that my go-to winter running piece would be a softshell jacket. In my experience, softshells are just too thermal and not breathable enough to wear during truly aerobic winter activities. However, Power Shield Pro is really lightweight and it allows just enough air to move through the fabric to make it really breathable. 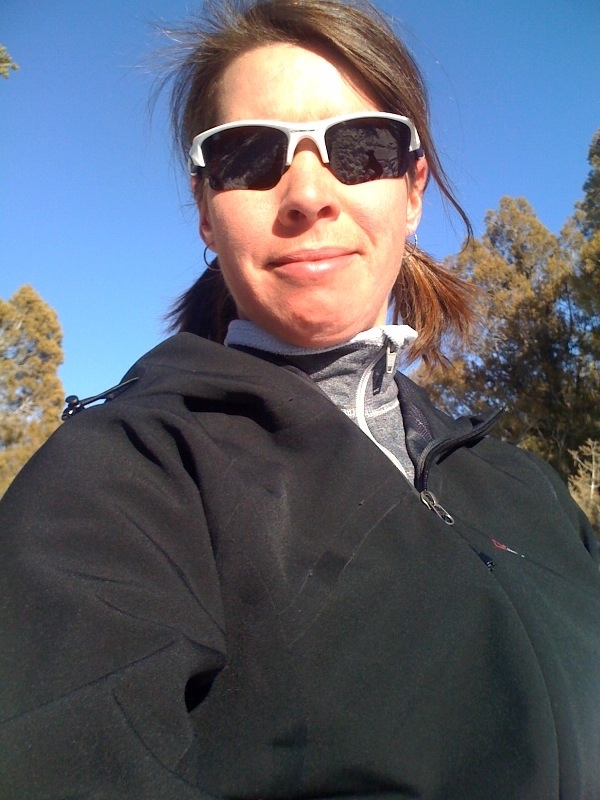 Today I put my Pro jacket to the test in relatively warm temps and it continued to impress me with its breathability. No excess body heat for the little man in the belly and half a minute shed from my time on a 4-mile jaunt! Now we need some snow so I can better test the fabric’s waterproofness.